Czech President: "Europe and Islam Are Not Compatible"
PRAGUE The Czech President Milos Zeman has spoken out against Muslim immigration to Europe. "We respect the Islamic countries and their beliefs, as long as its inhabitants do not come to Europe. Because as soon as they come to Europe, two cultures collide that are not compatible with each other," he said in an interview with the state news agency TASR. Muslims have yet to have been assimilated in any European country. This proves the incompatibility of Islamic and European culture. The EU Member States, urged Zeman, should rather invest more in securing the EU's external border than in the reception of refugees. About a hundred years ago there was a "Pastor's Initiative" of about 1200 priests against celibacy. Rome reacted quickly and with great effectiveness. (kreuz.net) Calls from clerics, who are disobedient to the hierarchy, is nothing new. This was revealed by the Bavaria born Church historian, Cardinal Walter Brandmuller (83), in an article for the Catholic newspaer 'Tagespost'. The Cardinal recalled a revolt of clerics which took place in Bohemia at the beginning of the twentieth century and spread to Slovakia. Without Jews, without Rome, we'll build the German Cathedral. Cardinal Brandmuller explained about how the turn of the nineteenth century there was a "Break Away from Rome Movement" present in Austria. The initiator was Georg Ritter von Schönerer († 1921). He used anti-clerical and antisemitic ideas: "Without Jews, without Rome, we'll build a German Cathedral home." This was the genesis of the National Socialists. After a decade the propaganda persuaded then around a hundred thousand Austrian Catholics. 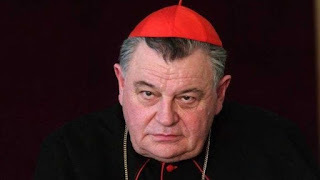 This movement found a sequel a half-century later -- said Cardinal Brandmuller: "in the turbulent time after the Second Vatican Council by the adherents of "We Are Church", "Church From Below" and the circles around the "Kirchenvolkbegehren [Church People Seeking Reform]. A similar parallel to the Austrian one man show 'Pastor Initiative' is what Cardinal Brandmuller sees in the "Czech-Hussite National Church". They existed in the years after the First World War. Czech clerics revolted after the collapse of the Habsburg Monarchy firstly against the Episcopate. After that they demanded a supposedly democratized and Rome-independent National Church. The movement called itself 'Jednota'. They wanted a Liturgy in the national language, a shortened Breviary and married priests. Additionally they demanded to elect their own Bishops by the clergy and the people, a democratization of the Church constitution and the abolition of clerical clothing. At the end of February 1919 the Viennese Nuncio Teodoro Valfre di Bonzo (+1922) traveled to Prague, in order to form a picture of the situation. In June 1919 delegates of 'Jednota' were invited by the Pope to Rome. In the mean time, the Nuncio informed the Vatican State Secretary, Pietro Cardinal Gasparri (+1934). The Nuncio promoted an unmistakable and decisive position against 'Jednota'. The rebels were not won over by concessions. Giving away would have only further disturbed the faithful. The 'Jednota' -- demands -- especially for married priests -- were decisively rejected. The sending of a 'Jednota'-delegation to Rome led, according to Cardinal Brandmuller, to a division of minds. For example, the theological faculty of the University of Prague had distanced itself from its Dean, who had participated in the 'Jednota' delegation. As the next development was completed, a radicalization of the group took place, said the Cardinal. These named themselves from then on as 'Ohnisko' -- for burn point. Their members were already decided even before the trip of 'Jednota'- Delegation to Rome, were prepared to transact their demands in case of a Roman rejection. In August 1919 'Ohnisko' called upon Catholic Priests to marry civilly. As one of the first steps, fallen priest Bohumil Zahradnik acted. In any case he was already living in concubinage for ten years. The 'Ohnisko'- priests were addressed by the State authorities and compensated. In September 1919 they attempted to get a dispensation for a very large number, 1,200 priests from celibacy. On January 8th of 1920 the anti-clerical Czech government declared a "Czechoslovakian Church". As Patriarch, the lapsed priest, a certain Karel Farsky (+1927) was elected. This National Church represented Modernism. A Catechism by Farksy maintained that Jesus was only a son of God in the same sense that all men were sons of God. Christ is only the greatest of prophets. "A large part of the clergy were in a shattering crisis of their Catholic Faith." A week after the founding of the State Church -- on the 15th of January 1920-- the Holy See condemned the schismatic coalition and anathematized them. Priests who belonged to the National Church, were in any case in excommunicated automatically in all senses. Benedict XV. insisted in a letter of the 29th of January 1920, that there was never an agreement on priestly marriage. The Czech Bishops had shown themselves equal to the situation -- and he was grateful for the decisive shepherds. In an address at the end of the year in 1920, Pope Benedict XV stressed that Rome would not endeavor making the rule regarding celibacy any less stringent. Any deviating assertions are misleading. It is clear that the Church has priestly celibacy to thank for a great part of Her power. It must be wholely and entirely unaltered. That is " never before has it been more necessary in these times of moral degredation and unchecked vice" -- said the Pope on the eve of National Socialism and Fascism. It will never happen that "this Holy Apostolic See will enfeeble or abolish this most holy law of priestly celibacy in any manner." Cardinal Brandmuller praised Romes decisive proceedings against the Czech rebels: "There was an understanding that set in that this was something that couldn't be won by negotiations." The rebels wanted to alter the foundations of the Catholic Faith and of Christendom. That was shown, among other things, in a popular census in 1921. 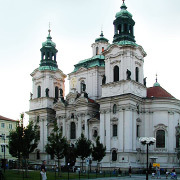 According to that 3.2 percent of Czechs belonged to the State sponsored Church. The other part of Catholics -- about 76.3 percent of the population -- remained Catholic. Today, the rebel society calls itself the 'Czech-Hussite Church'. They count on paper around 100,000 demoralized members.